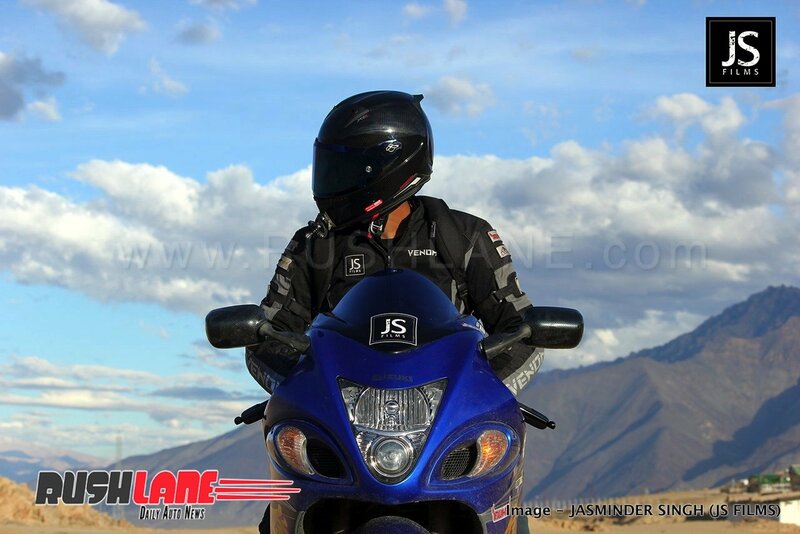 Delhi based Jasminder Singh has managed to ride the Suzuki Hayabusa to altitudes for which it is not built. 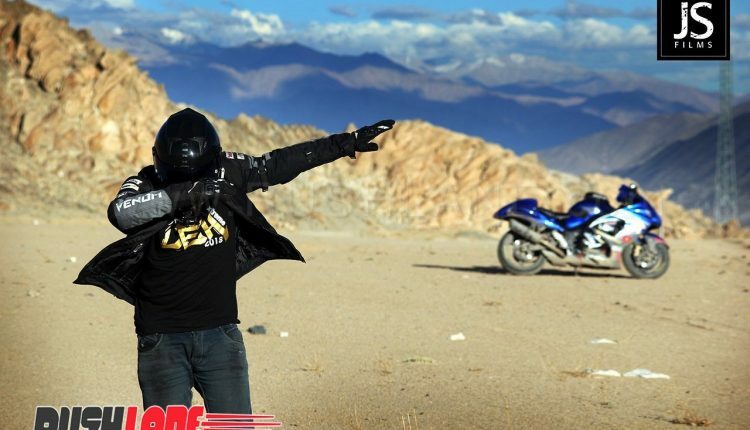 Popular Youtuber Jasminder Singh of JS Films has done what very few bikers have ever done before. 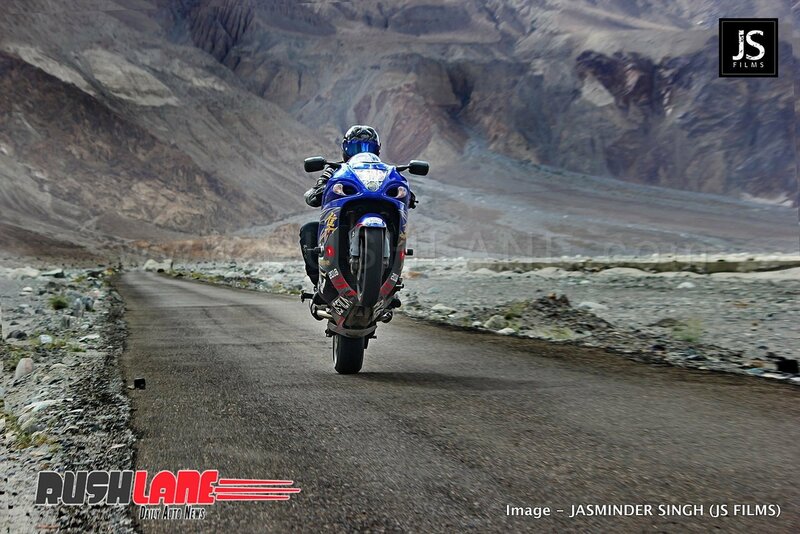 He has not only managed to ride a Suzuki Hayabusa to world’s highest motorable road, but has also completed the Leh circuit – Delhi – Srinagar – Kargil – Leh – Nubra – Pangong – Leh – Manali – Delhi. 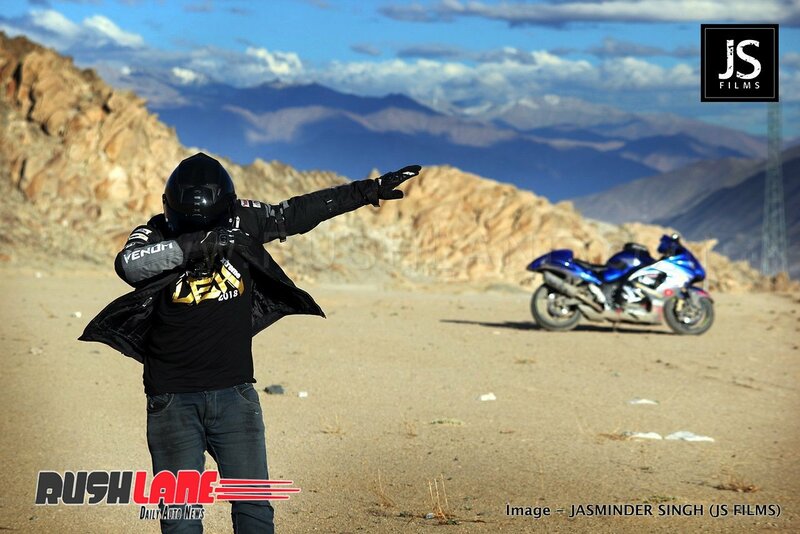 This is the third time Jasminder has been to Leh, Ladakh region. 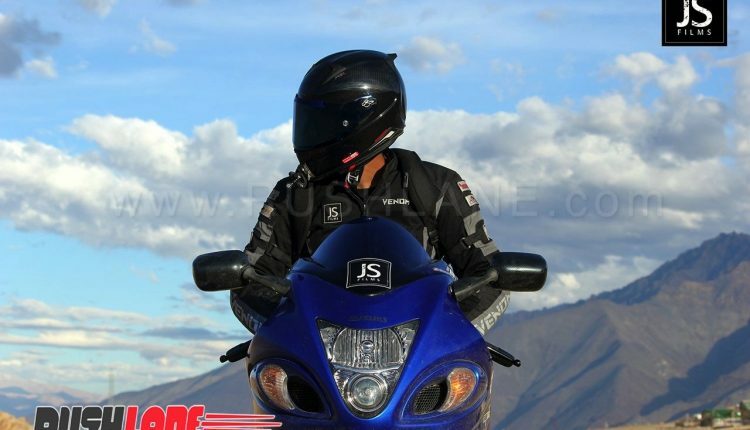 He was also part of the group in 2016, which became the first to reach Khardung La on a Hayabusa. 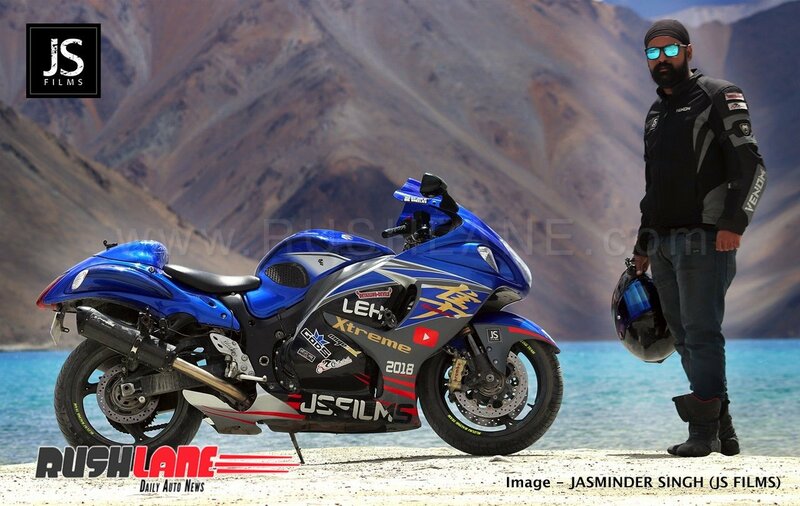 At that time, it was biker Naveen Jangid who rode to Khardung La on Hayabusa. In 2018, it was Jasminder who was on a Hayabusa. He did this along with 4 other bikers, in all there were 5 in the group. 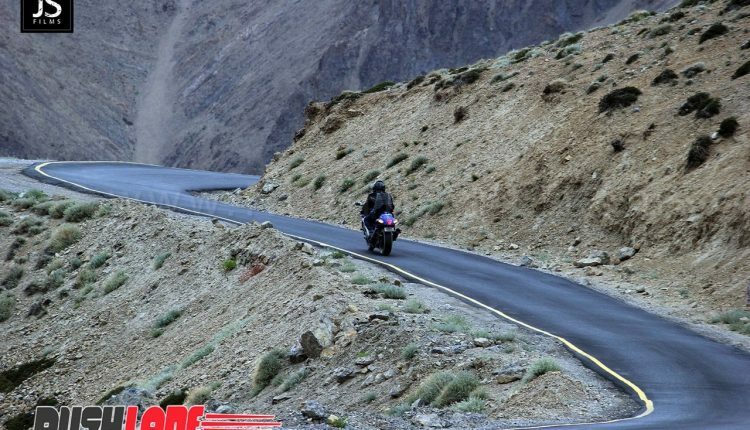 Two were riding KTM Duke 390, while other two were on Bajaj Avenger and Pulsar. 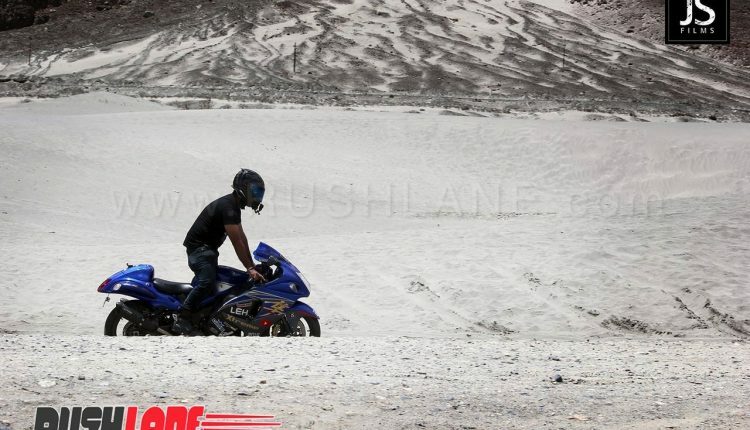 The ride started on 24th June. 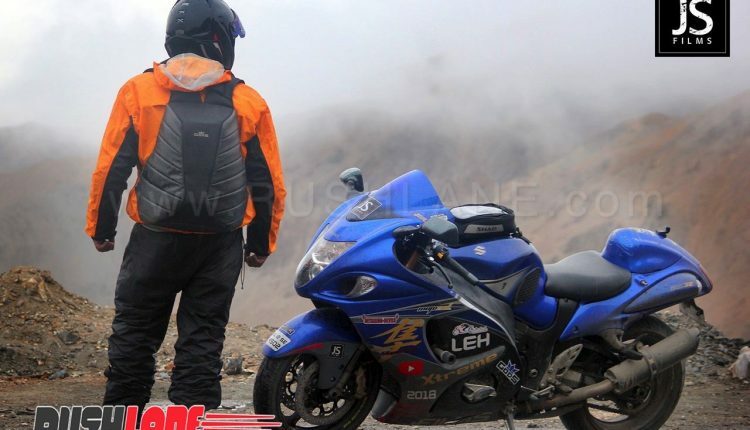 The 1340cc Suzuki Hayabusa was put to the real test as this bike is not built to tackle such terrain or such high altitudes but proved its stance over the road trip. 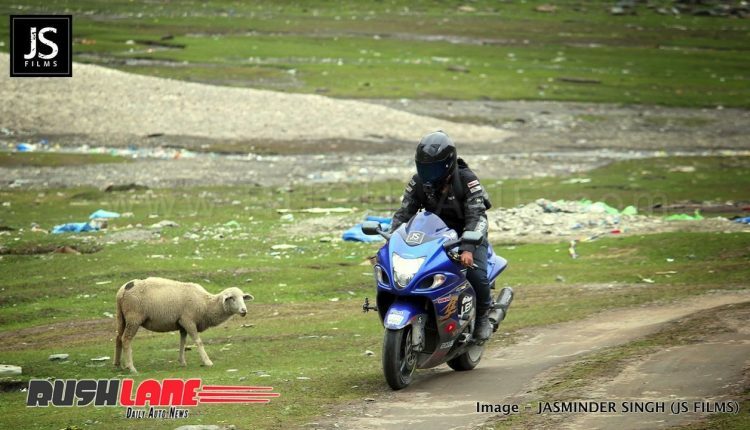 Jasminder was told by friends that the Hayabusa was not a bike to be taken on this treacherous journey. 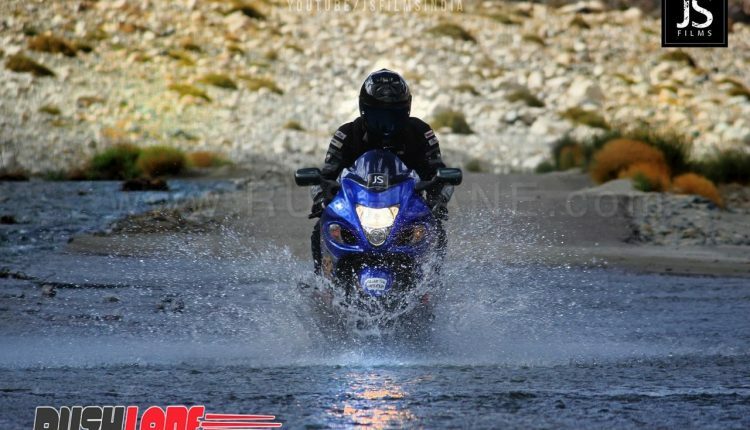 However he stood by his decision and prepared the bike for set off with sufficient fuel and supplies. 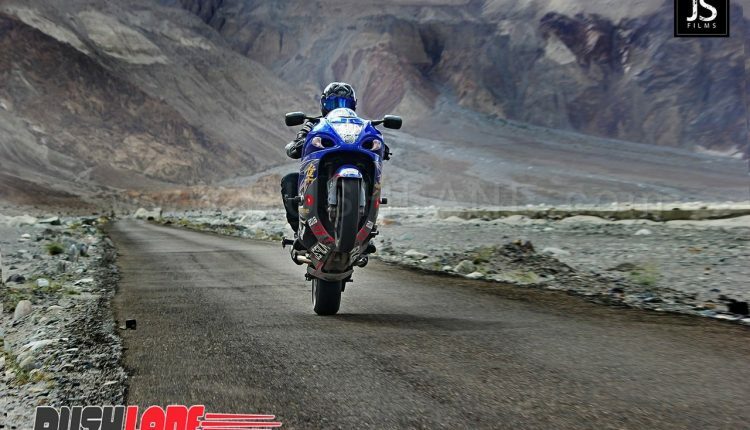 The 12 day ride started from Delhi. 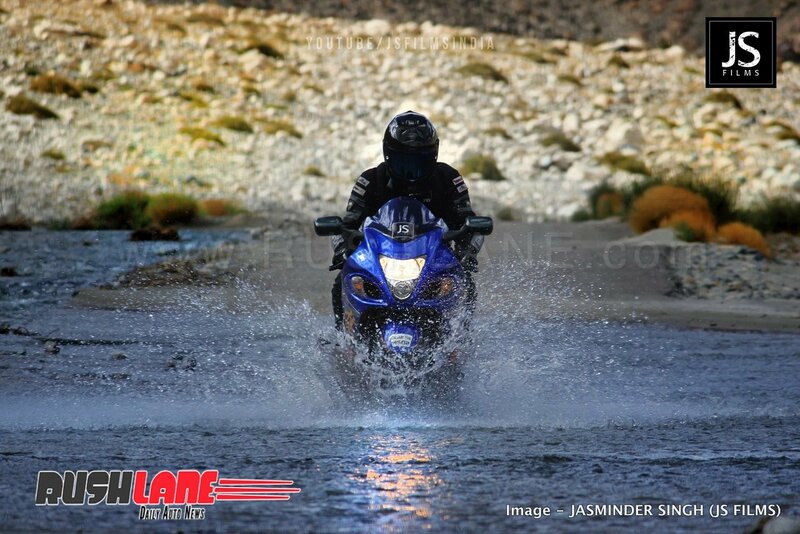 After crossing Chandigarh, the team headed towards Srinagar, and from there to Kargil and finally Leh. 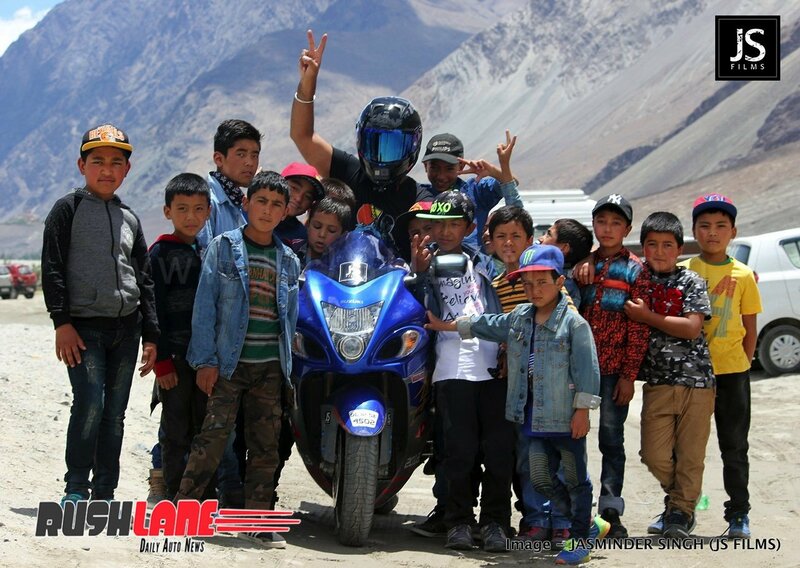 Next day the team headed out towards Nubra Valley, but not before crossing one of the highest motorable roads in the world – Khardung La, located at over 18,000 feet above sea level. 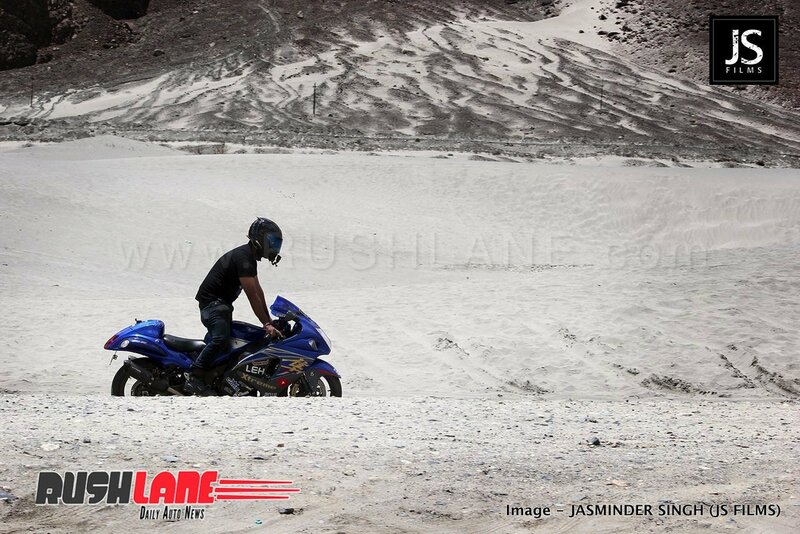 At Khardung La, people took photos and danced with joy at the achievement of Jasminder, proving that the Hayabusa can actually take on the most challenging of terrains and weather conditions without any hitch. 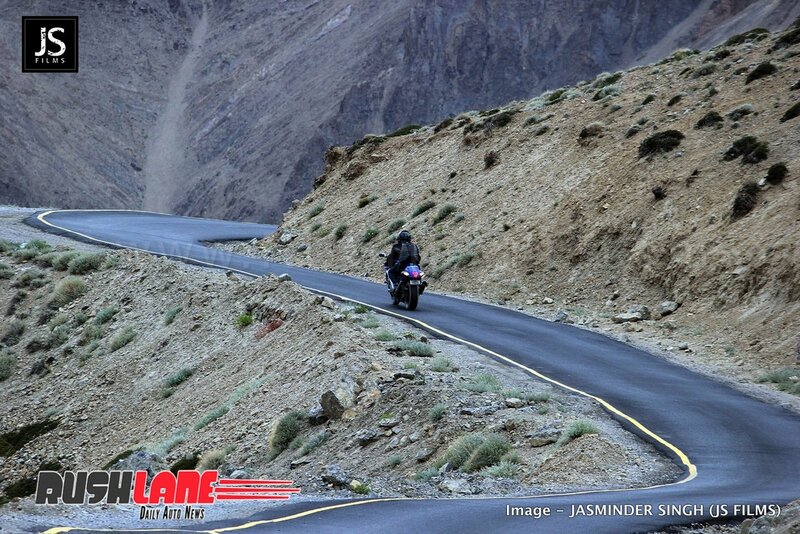 From Khardung La, the team headed towards Nubra valley, where the plan was to do the old silk route. 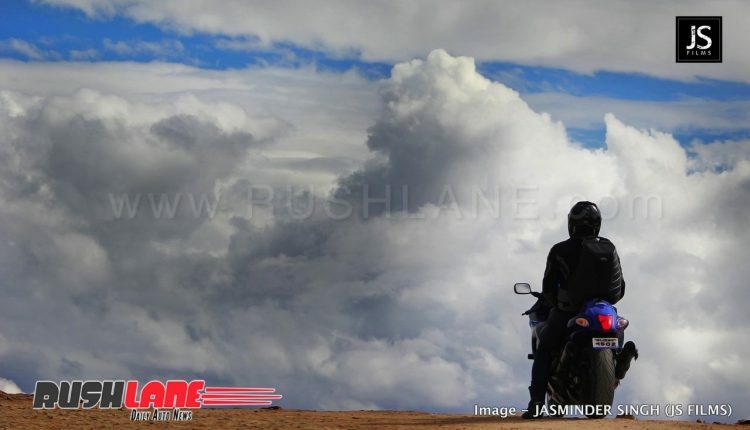 Here, on the Agham Shyok road the team faced everything from bad roads to smooth roads from no roads to a gigantic river crossing. Jasminder also performed a wheelie on this road, which is located at over 14,000 feet above sea level – making it probably the highest superbike wheelie in the world. Watch the video below. 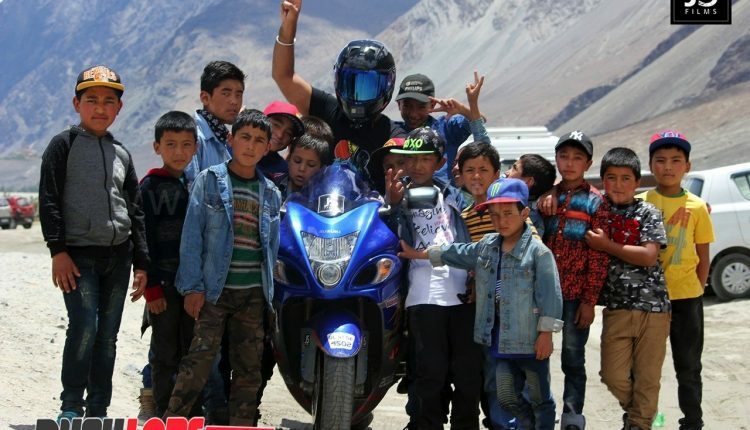 Jasminder met with a host of bikers from across India who were amazed to see the Hayabusa superbike in action in a region that is otherwise tough for normal bikes, and complete the journey without any major breakdowns. 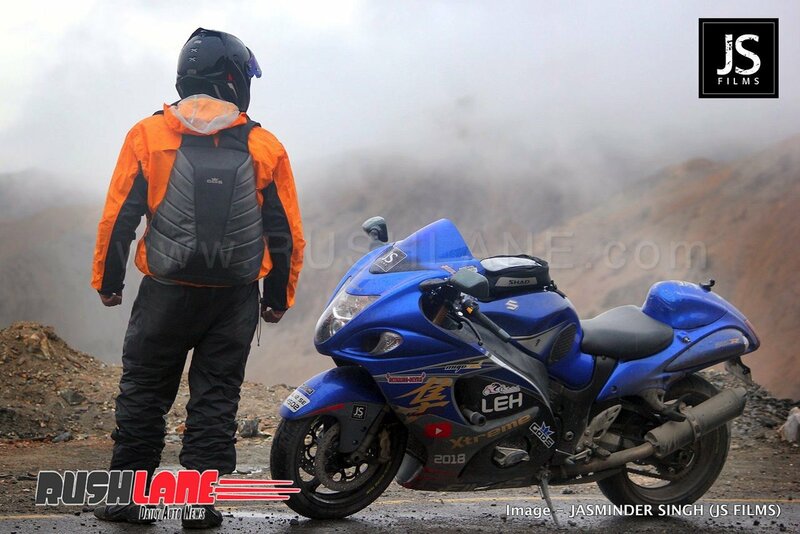 I am really glad to share with you all that I have accomplished the feat of becoming the first person on a Hayabusa to complete the Delhi-Srinagar-Leh-Manali-Delhi circuit. 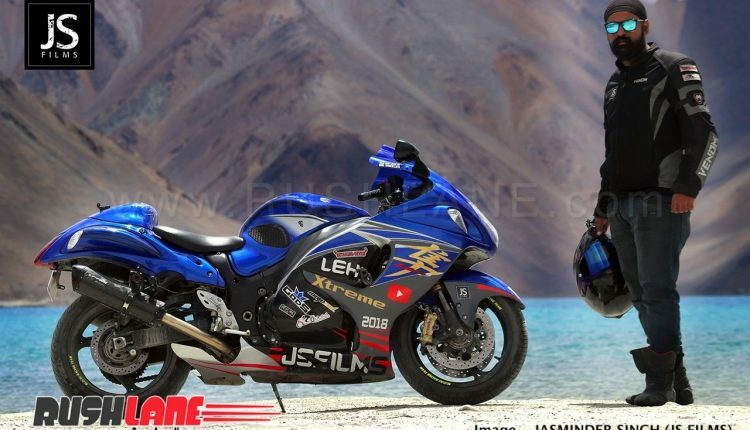 (Navin rode Hayabusa from Jammu to Khardung La and back to Jammu).